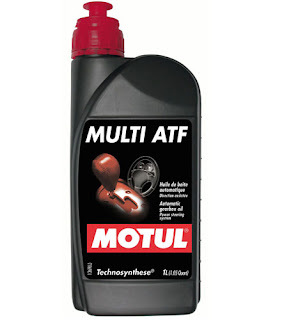 MOTUL MULTI CVTF is a high tech transmission Technosynthese® fluid suitable for a wide range of passenger cars. MOTUL MULTI CVTF is specially engineered for Continuous Variable Transmission (CVT) gearbox type designed either with belt or chain. Several OEMs such as GM, FORD, CHRYSLER, NISSAN, BMW, RENAULT and PSA fit vehicles with CVT gearboxes. MOTUL MULTI CVTF complies with AUDI, BMW, CITROEN, FORD, GM and MB specifications. It thus can be used in a wide range of vehicles.